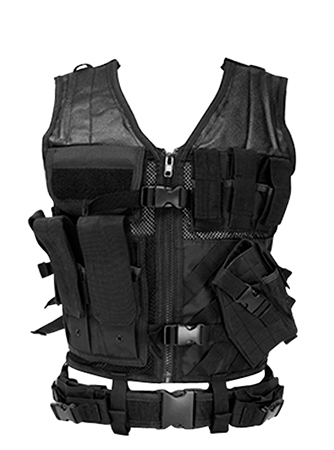 This black tactical vest is perfect for any situation, weather you are on the range, or simulating a combat situation. Featuring 3 adjustable side straps to make sure you get a secure fit, along with a heavy duty zipper and 2 adjustable quick fasten buckles to insure no rotation, but still provide comfort. The vest also includes a pistol belt for necessary accessories.